What a night once again for Sammi Kinghorn on Thursday as she landed the top title at the Sunday Mail/sportscotland Scottish Sports Awards! 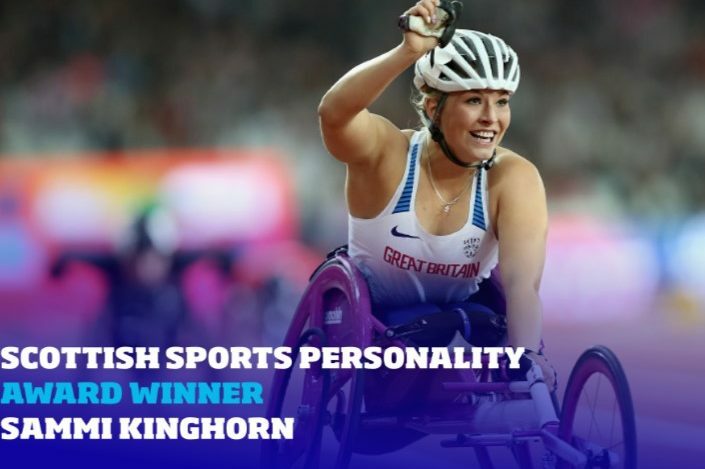 The Para double world champion and T53 200m World Record holder was crowned as Sports Personality of the Year for 2017 after an amazing 12 months for the wheelchair races. Laura Muir and Callum Hawkins, who each finished fourth at the London 2017 World Champs, were also on the short-list for the top award. It was a double on the night for Sammi as she also collected the Disability Sports Personality of the Year award at the same ceremony in Glasgow. In a third category, the Borders athlete who now lives and trains in Glasgow was short-listed for the Inspirational Performance Award which went to Leigh Griffiths for his two goals for Scotland against England. Coach Ian Mirfin was on the short-list for the Coach/Manager of the Year award which went to Celtic boss Brendan Rodgers. Many congratulations to Sammi, her family and Ian from all at scottishathletics . . . 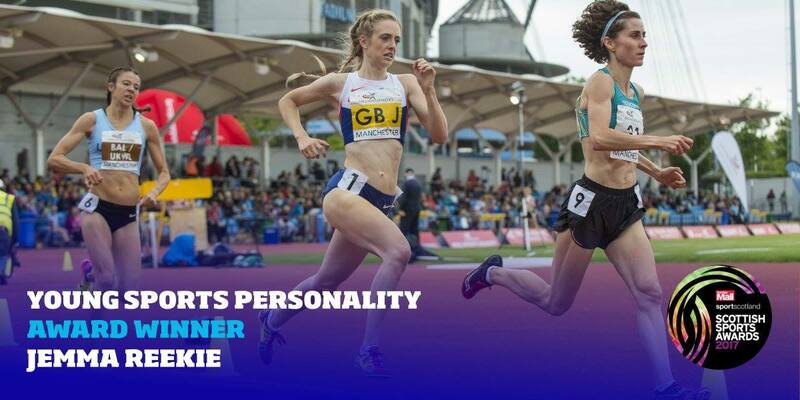 There was another athletics winner, however, with Jemma Reekie taking home the Young Sports Personality of the Year award. 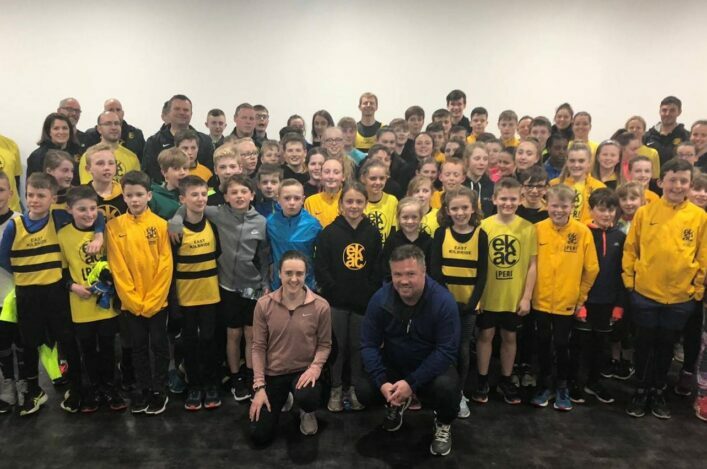 The Kilbarchan AAC athlete was thrilled to collect the prestigious title after huge progress during 2017 with the help of her coach, Andy Young. 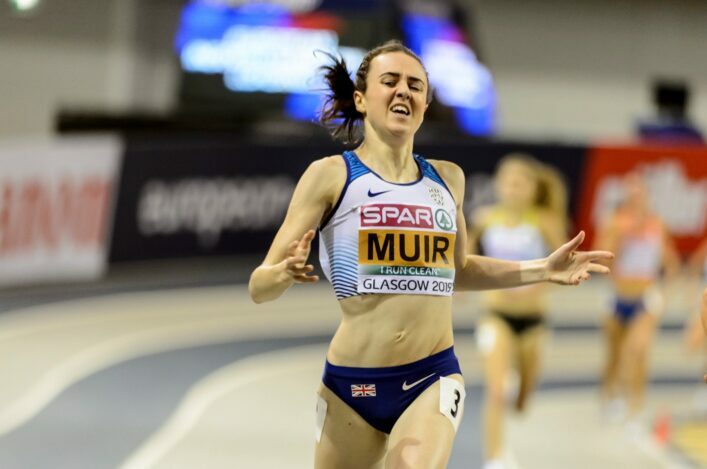 Jemma became the first Scot to win a 1500m and 3000m double at the England Athletics U20 champs and she then clinched 1500m gold at the European Championships in Italy. Jemma won that title in superb fashion in Grosseto only 23 hours after finishing fourth in the 3000m final. Many congratulations to Jemma, her family and Andy from all at scottishathletics . . .